In one of my first conversations with my primary supervising professor, I was admonished to remember the history of scholarship in Durham. When I asked about a plan of attack for the Ph.D. thesis and the degree, he answered me, good-naturedly, with something like this: “You Americans are taught to look for boxes to tick in the course of education. You must learn to trust the British system. It doesn’t work like that. Trust the system. We know what we are doing. We have been doing this here for 1100 years.” As he finished his statement, he pointed in the direction of the Cathedral where the Venerable Bede is also buried. Bede is known for his scholarship and wrote the first history of the English people. Though Durham is a top 100 University world-wide and placed at the top of the latest rankings in several areas (including #1 in Theology over all schools in the UK), many people in the US don’t know about it. As a matter of fact, I didn’t know much about it until a mentor recommended I look into it a few years ago. I am not quite sure how I missed it all this time. It also seems odd to say that Durham University is the third oldest school in the England (behind the Oxbridge schools) with such a long history of scholarship here. Founded in 1832, it seems pretty young by British standards. So why the disconnect? My curiosity about that got going again today. The community of monks who settled in Durham in AD 995 brought with them their scholastic life. In 1093, the Normans established a Benedictine community of learning in Durham. It is at about this time that the Europe’s first universities are founded. Henry the VIII (1509-1547) laid plans for a college in Durham as a part of a larger reworking of churches and education. As far reaching as Henry’s reforms were, a college in Durham did not materialise. 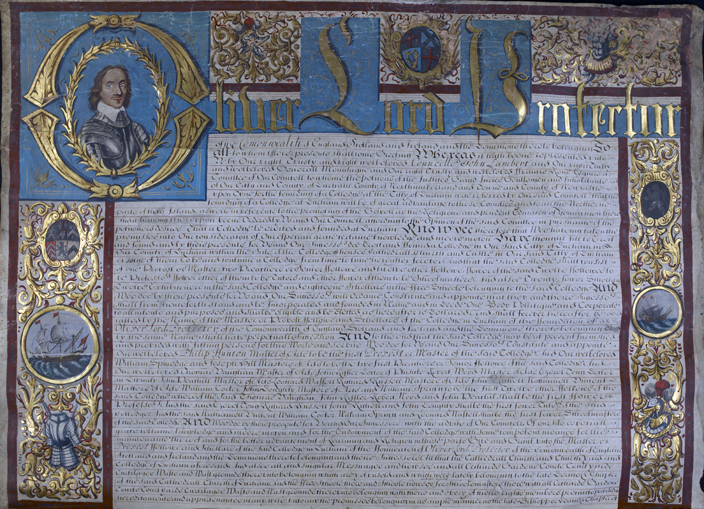 Oliver Cromwell drew up plans for an institution of higher learning in Durham in 1657. Again politics, not scholarship, prevented this from happening. However, in 1832, Durham Cathedral gave space for a new University. This space included the Castle which remains a part of the University life. Other colleges and institutions have joined in the work of the University to make it a rich learning environment today. No, the British Ph.D. system doesn’t give me many boxes to tick along my education journey. Instead it invites me to be immersed in a process of learning to learn at a whole new level. My naive enthusiasm may sometimes tell me I could think of another way to do it. That’s when I look around me and see the rich history of the ages of scholarship. I try to remember that there is something much bigger than me at work here. I would do well to catch some glimpse of scholars who have gone before me.